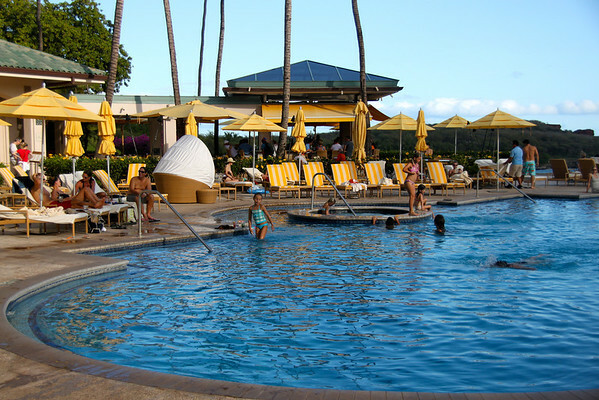 There are 3 hotels on the island of Lanai and the Four Seasons Resort Hawaii – Lana’i at Manele Bay is the most expensive and also the most typically Hawaiian of the 3. 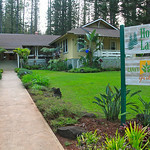 This is a beach front hotel on the sunny coast of Lanai. While I was still just touring the resort I looked out on the bay in front of the hotel (which oddly enough is Hulopoe Bay and not Manele Bay) to see a pod of maybe 50 dolphins “resting” in the blue waters. 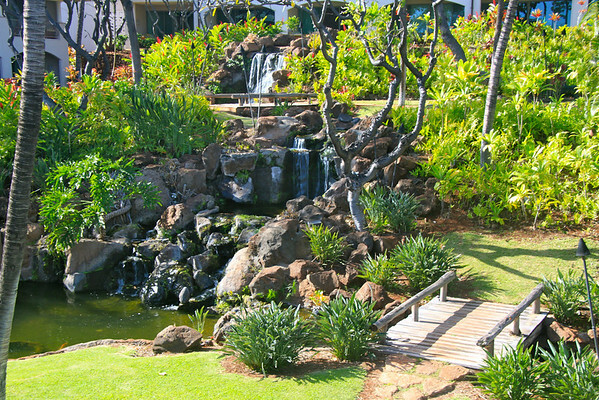 This is the sort of resort that reminds you of why people go to Hawaii. Palm trees dot the beautifully manicured grounds but even more popular than the greenery are the greens on the spectacular cliffside golf course designed by Jack Nicklaus. Bill Gates, who we can assume could afford virtually any hotel, chose the tee on the 12th hole as the site for his 1994 wedding. You can’t order up a minister from your high tech golf cart but you can find your position with built in GPS, get information about the next hole or order drinks. Saying that there are three hotels is a bit misleading as two of them comprise the Four Seasons Lana’i which is one resort in two locations. If you are staying up country at the Four Seasonss Lodge at Koele and want to take advantage of the facilities of the beach front hotel you can take the shuttle in between the two. Charge dinner to your room in either location. You can even transfer between the two with the correct reservation by packing up your suitcase, leaving it in your room and notifying the front desk. 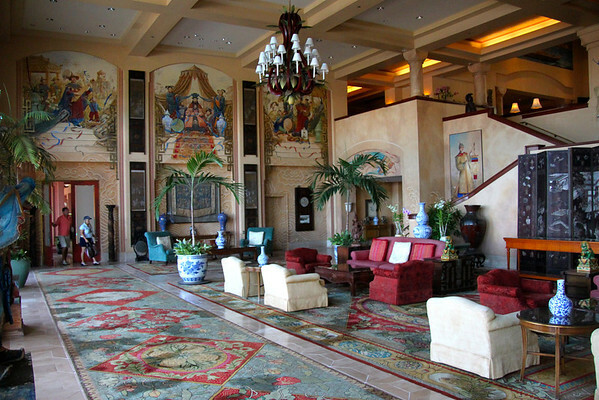 The hotel’s public areas are decorated with some of the artwork collected by the owner of the hotel (and most of the island) David H. Murdock. You can download a podcast tour of the artwork from iTunes. The rooms are large, the service is top notch and the restaurants are excellent as you would expect from a high end resort. Try the coconut syrup on your macadamia nut pancakes at the breakfast buffet for a particularly Hawaiian treat. Or take advantage of one of the shoreside massage tents for a special experience. 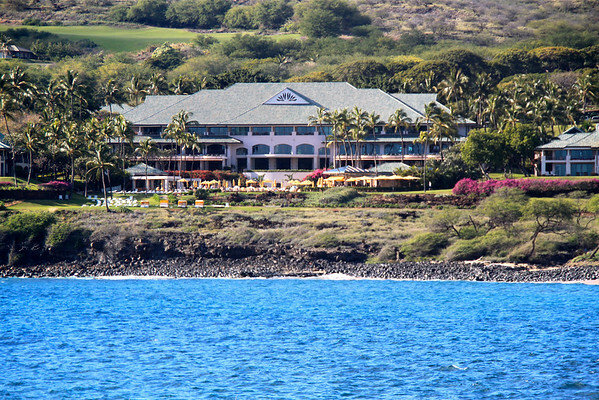 The rack rate for the rooms at Four Seasons Resort Hawaii – Lana’i at Manele Bay start at more than $400 a night with the most expensive room listing for $9000 a night. 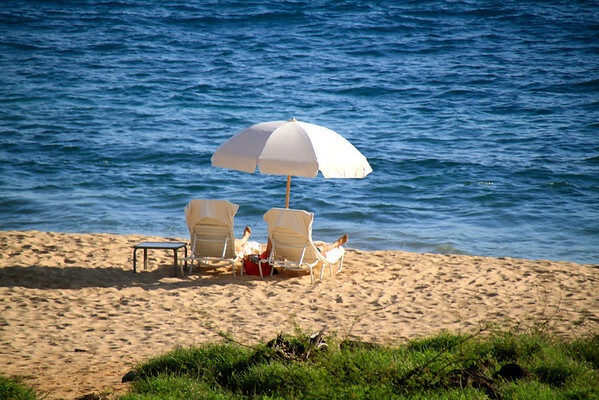 But you don’t come to the Four Seasons Resort Hawaii – Lana’i at Manele Bay to sit in your room. You come to sit on the beach while the helpful staff brings you a cold drink of water (alcoholic drinks are served by the pool but not the beach), a damp cloth to cool your brow and a clean towel. This is the life. This is Hawaii. 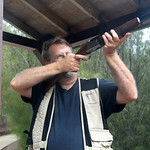 I was a guest at the Four Seasons and of the Lanai Visitor’s Bureau as one of the 2012 Lanai Artists in Residence.